V Technical Textiles, Inc. (VTT) brand of RF & EMI shielding pouches & bags are manufactured in the US. These pouches provide the user the ability to capture, transport and secure the chain of evidence of an electronic device when placed in the pouch. 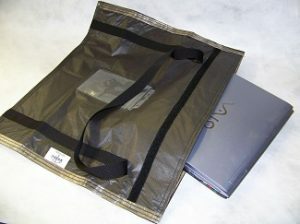 Using Faraday Cage principles these Faraday pouches and bags are constructed with Shieldex® materials to block the RF signals from entering or exiting the pouch. VTT pouches have a shielding effectiveness of 95dB @ 2.5Ghz. 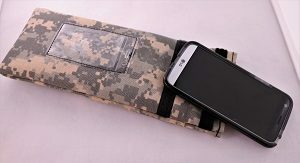 In the beginning, VTT’s Faraday pouches and bags were originally manufactured to be used by government facilities, law enforcement and in the field by the military to block RF and secured electronic devices from the bad guys. We still proudly manufacture these highly specialized and quality pouches for these government organizations. With a rise in cybercrime many businesses and professional people found the need for their electronic information to be protected, and in many cases, this has become their number one priority. VTT took its military program knowledge and applied the application to defend our client’s electronic information. With military grade constructed pouches and bags that are now specifically designed for the public, VTT pouches protect their client’s information from the modern thief. VTT’s, 3-dimensional pouch has been referred to the small test lab. Designed to provide the customer with an open area. Many of our customers have used the pouch to run pre-compliance testing of their smaller devices. Typically, not as large as a table top enclosure the 3D pouch offers a smaller area for the device but provides the user to have the option for power supply or a bulkhead with an I/O interface with the device. VTT’s forensic bags are used by many law enforcement agencies to capture, transport and secure electronic devices for the chain of evidence. In today’s cyber-criminal world it has become very important to collect data from these crime scenes. The VTT forensic bag provides a secure transport bag to carry the captured devices safely to the forensic labs. 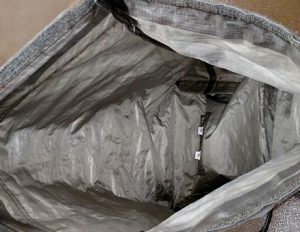 These forensic bags can include ruggedized waterproof outer covers, anti-tamper seals, and document pockets. Innovation. Made In The USA. VTT is the leading manufacture of RF & EMI shielding and conductive textile products.